At present, I have not included educational films produced by musicians. 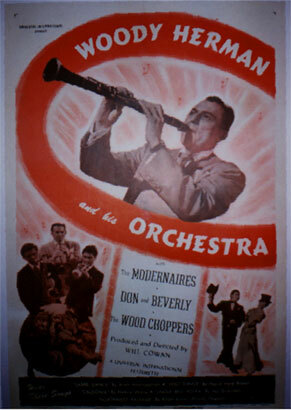 Filmed at the Lincoln Centre in New York and Introduced by Doc Severinsen. 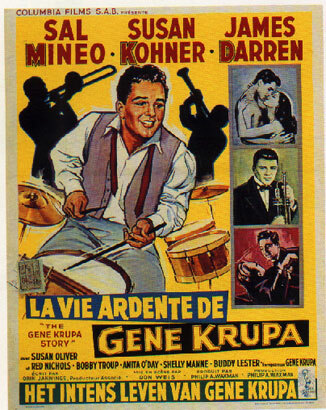 It features Basie, Ellington, Hampton, Teddy Wilson, Gene Krupa etc. UK 1986 (TV)  58 mins  Directed by ? 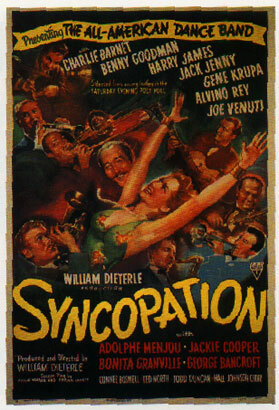 One of John Jeremy's very best films about the ex-Ellington wayward tenor saxophonist. Profile of Bill Gottlieb, the famed photographer who captured the golden age of jazz . Profile of the great British tenor sax, Bobby Wellins. Portrait of the boogie woogie man who was very popular in the forties but is almost unknown today. Born to Swing is John Jeremys affectionate tribute to the swing era. 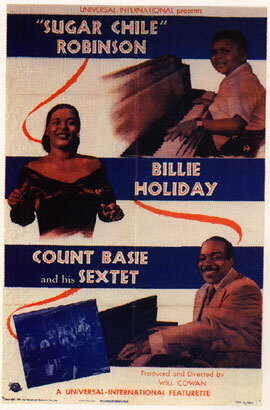 It features the fortunes of ex- Count Basie sideman, including; Jo Jones, Buck Clayton, Buddy Tate and Dickey Wells. John Jeremy assembled these great, jazz musicians in the studio during 1972 to play and reminisce. The whole film has been inter cut, with archive footage, interviews and a commentary by Humphrey Lyttelton. UK 2014 • 60 mins • Directed by Clare Taverner. A bt BBC documentary about the culture of New York in 1951. Features an interview with Thelonious Monk’s son plus clips of Monk himself. Also features J J Johnson, Sonny Stitt and Howard McGhee in a very short clip. with Buddy Tate, Gene Ramey, Earl Warren, Jimmy Witherspoon, Dicky Wells and Sir Charles Thompson blowing in the studio. CANADA 1953 • 120 mins • Directed by ?? with Billy Taylor and Randy Weston amongst others. Wonderful collection of great Latin jazz featuring the great names of afro-cuban music. Features Derek Bailey, Amiri Baraka, Billy Bang, Elvin Jones, , Al Young, and Mal Waldron. The legendary bassists biography was called Beneath the Under Dog. This is one of McGlynns very best films. Very fine film about Chet's last days. Interviews with Russ Freeman and William Claxton and footage of Chet in different combinations including the 1983 concert with Stan Getz. Also a duet of Chet with Red Mitchell the great bassist playing the piano. With Elvis Costello and Van Morrison guesting but Michel Grailler (pno) and Riccardo Del Fra (bass) providing the main support. Reunion at Ronnie Scott's jazz club in London of British modernist who were the leading lights of bebop in the late forties. They include Scott (tnr) Hank Shaw, Leon Calvert (tpts) John Dankworth, Johnny Rogers (alts) Tony Crombie (drums) Lennie Bush (bass) Norman Stenfalt (pno). The great Tommy Pollard (pno ) had died in 19? Shot in 1987 at the Montréal International Jazz Festival, this documentary film presents musical performances and conversations between three jazz pianists with remarkably different styles--Soviet Leonid Chizhik, Black Montrealer Oliver Jones, and French-Canadian Jean Beaudet. 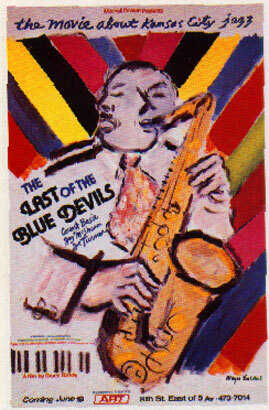 Film about the tenor saxist, Dewey Redman and father of Joshua. Also features Joe Lovano and Michael Brecker. Superb documentary on Duke Ellington, narrated by Julian Bond and featuring interviews with Gunther Schuller, Irving Mills, Mercer Ellington, Mercedes Ellington, Sonny Greer, Willie "The Lion" Smith, Fayard Nicholas, Marion Logan, Sid Kuller, Albert Murray, Herb Jeffries, Barry Ulanov & Louis Bellson. BBC documentary. with. Ruth Ellington, Mercer Ellington, Cootie Williams, Clark Terry, Louis Bellson, Mel Torme, Cab Calloway, Al Hibbler, Jimmy Hamilton, Dizzy Gillespie & Joe Williams. Ellington narrates this documentary of the band's 1966 appearance at the Antibbes Jazz Festival with Ella Fitzgerald. Ellington celebrates his 70th birthday with an all-star band, including Benny Goodman, Dizzy Gillespie, Dave Brubeck, Paul Desmond, Earl Hines, Clark Terry, Gerry Mulligan, Paul Gonsalves, Billy Taylor, Willie "The Lion" Smith, Milt Hinton, Jim Hall, J.J. Johnson, Louis Bellson, Joe Williams, and others. Narrated by Willis Conover. Walter Cronkite narrates Ellington & his orchestra on their tour of Japan. Among the interviewees are Billy Taylor and Ellington biographer John Edward Hasse, as well as several longtime Washingtonians. With Ben Webster, Louis Bellson, Cootie Williams, Adelaide Hall, Herb Jeffries, Charles Mingus, Clark Terry, Jimmy Hamilton, Russell Procope. UK 1990 55 mins  Directed by ?? Documentary about the great singer. a number of hours of this group was recorded live at The Maintenance Shop, Iowa State University and released on a number of videos( and DVD's). 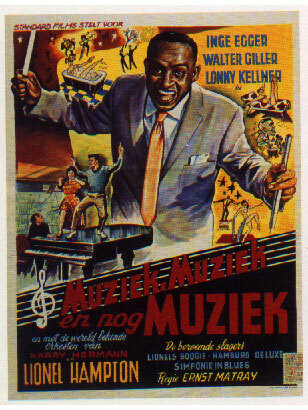 Film about the composer of 'Over the Rainbow' and hundreds of other songs that have become jazz standards. with Meade Lux Lewis, Pete Johnson, Albert Ammons, Tuts Washington & Professor Longhair, historical commentary by Paul Oliver & Francis Wilford Smith, and live performances by Big Joe Duskin, Axel Wingenberger, George Green & Bob Hall. 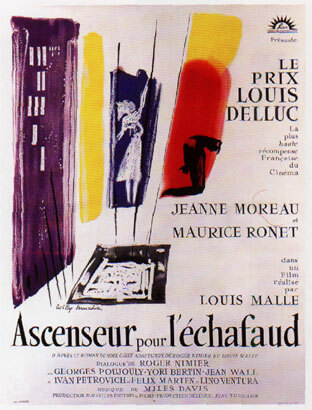 Another great film from McGlynn, about the one time Mingus piano player. The great west coast trumpeter in performance. Hosted by Oscar Peterson with Miles Davis, Maynard Ferguson, Dizzy Gillespie, Cleo Laine, Tony Bennett, Pat Metheny, Buddy Rich, Sarah Vaughan, Ray Charles, Stephane Grappelli, Jean-Luc Ponty, Dave Brubeck, Sonny Rollins etc. One of John's first films focuses on the photographs of Valerie Wilmer, one of the jazz worlds great practitioners, while a whos who of jazz, comment. With Jazz poems by Langston Hughes and Ted Joans. documentary on Blakey with Wayne Shorter, Courtney Pine, Dizzy Gillespie, Walter Davis, Jr.,Benny Golson, Roy Haynes, Wynton Marsalis, Curtis Fuller,Terence Blanchard & Donald Harrison. with Nina Mae McKinney and Eubie Blake, Helen Humes with Count Basie, Maxine Sullivan, Ida Cox, Sister Rosetta Thorpe with Lucky Millinder, Billie Holiday with Basie, Rita Rio & Her Mistresses Of Rhythm, Ada Leonard's All- American Girl Orchestra & The International Sweethearts Of Rhythm. documentary about the MPS record label. Portrait of the ex Lionel Hampton singer who has made something of comeback in the last couple years. Another wonderful Clint Eastwood produced documentary. on the great American songwriter. Portrait of the legendary producer and writer. A very important figure in the history of jazz and noted for his promotion of racial integration in jazz. A new documentary about the great Clark Terry and one of his last pupils has been released. One of the very best jazz films made about jazz musicians,this is about the great swing bassist who was,also responsible for the 8mm footage used in" A Great Day in Harlem" . With Hinton, Quincy Jones, Doc Cheatham, Richard Davis, Christian McBride, Joe Williams, Rufus Reid, Eddie Gomez, Jon Faddis, Clark Terry and Bradford Marsalis. Wonderful film about the great Kansas City swing musicians including Count Basie, Joe Turner, Jay McShann, Jo Jones, Budd Johnson etc. 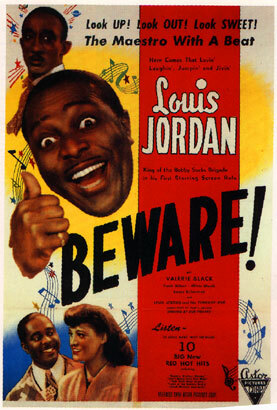 This is about The Harlem Blues and Jazz Band, a group of vintage musicians who made their name in the 20's and 30's. San Francisco's famous after-hours jazz club is remembered through a large collection of photos and interviews with Teddy Edwards, Frank Foster, Roy Porter, Clora Bryant & Herb Wong. LIONEL HAMPTON LIVE IN EUROPE. Portrait of the great Cuban conga player who came to fame with Dizzy Gillespie big band of the forties. The making of the LP "Chattahoochie Red"
band members Bill Evans the saxophonist, Herbie Hancock, Al Foster, Chick Corea, Dave Holland, Steve Grossman, Joe Zawinul, Wayne Shorter, John Scofield, John MacLaughlin Darryl Jones in this concert from the Paris JVC Jazz Festival. Miles also appears with his regular band with Kenny Garrett, Devon Johnson, Richard Patterson, Joseph Foley Ma Creary and Ricky Wellman. Film about Miles Davis later period with Herbie Hancock, Chick Corea, Dave Holland, Keith Jarrett, Gary Bartz, Jack DeJohnette, Airto etc. Another great documentary from McGlynn about the popular vocal trio of the thirties and forties. With Mal Waldron, Don Cherry, Ted Curson Johnny Griffin, Annie Ross and Gato Barbieri at the 1965 Bologna Jazz festival. NINA SIMONE : WHAT HAPPENED, MISS SIMONE ? TV show with Count Basie, Lionel Hampton, Herbie Hancock, Max Roach, drums, Stan Getz Gerry Mulligan, Dizzy Gillespie, Joe Williams, Chico O'Farrill. 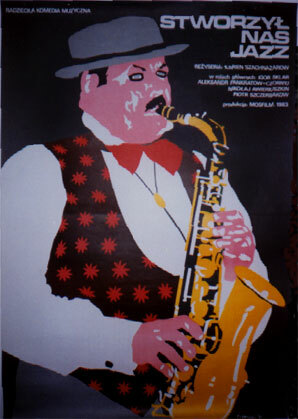 A film about the great alto man. 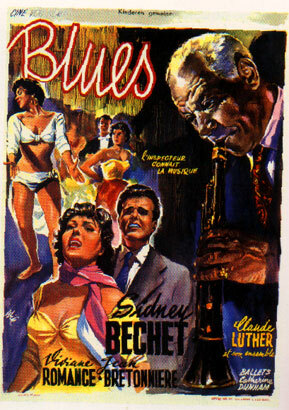 This is Eastwood's contribution to Martin Scorsese 13 hour series on the blues. Features interviews with Dave Brubeck, Ray Charles and others as well as footage of Thelonious Monk and Art Tatum. jazz clarinetists and saxophonists. with clips of Omer Simeon, Pee Wee Russell, Artie Shaw, Woody Herman, Benny Goodman, Harry Carney, Russell Procope, Jimmy Hamilton, Sidney Bechet, Jimmy Dorsey, Benny Carter, Johnny Hodges, Willie Smith, Gerry Mulligan, Charlie Parker, Sonny Stitt, Cannonball Adderley, Phil Woods, Lee Konitz, John Coltrane, Eric Dolphy, Ornette Coleman, Steve Lacy, Anthony Braxton, Jane Ira Bloom, Paquito D'Rivera. BBC: Ominbus film about of the famous club celebrating Thirty years. USA 1991  57 mins  Directed by Toby Byron. 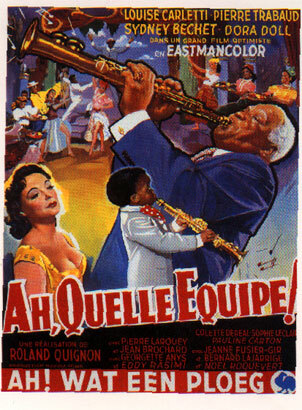 Perhaps one of the first films featuring black jazz musicians. The singer Noble Sissle with accompanist Eubie Blake. Lee Deforrest invented in 1920 a system of putting sound on to film and his New York studios made hundreds of short sound films between 1921 and 1926. Soundies were three-minute films (about the length of a 78 record) produced between 1940 and 1946 by the MCM Corporation of America. 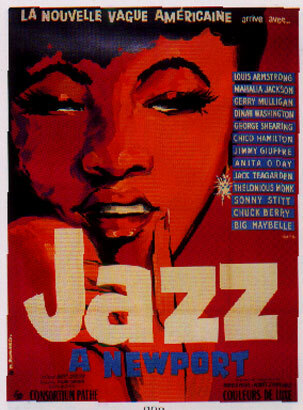 These films featured most of the popular acts of the day including hundreds of great jazz musicians. About eight of these films were joined together at a time, on one reel and were shown one at a time on prototype musical jukebox called a' Panorams'. Forerunners of MTV, these films were originally printed in reverse and a series of mirrors and reflectors projected them correctly on a glass screen inside the jukebox. At one time there were hundreds of these machines across the States in cafes, bars and restaurants and customers paid about a dime to see their favourite artist. 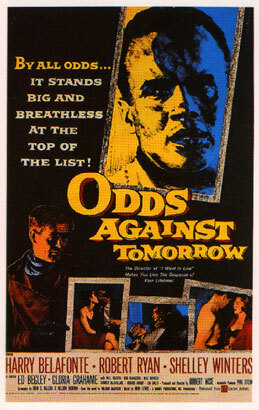 After the war the craze died and the films were sold off and a number of them were repackaged under different titles. Today, these soundies are an invaluable archive of jazz history and with Snader telescriptions have been repackaged over the years under different titles. documentary about the British musician who was the 'house pianist ' at Ronnie Scott's Jazz Club in London for a number of years and accompanied all the leading US jazz stars who played there. USA 1929  15 mins  Directed by Dudley Murphy. 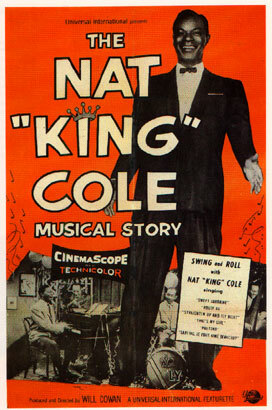 One of the earliest jazz shorts, featuring the great blues singer Bessie Smith in her only screen appearance, in a dramatic recreation of the title song. History of the music from the early twenties till the present day. jazz tenor saxophonists. with Coleman Hawkins,Bud Freeman, Georgie Auld, Don Byas, Ben Webster, Lester Young, Wardell Gray, Warne Marsh, Zoot Sims, Stan Getz, Paul Gonsalves, Eric Dixon, Sal Nistico, Frank Foster, Eddie "Lockjaw" Davis, Sam "The Man" Taylor, Illinois Jacquet, Dexter Gordon, Charles Rouse, John Coltrane, Wayne Shorter, Archie Shepp, Sonny Rollins and David Murray. 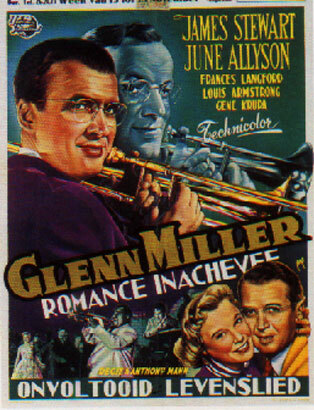 Film about New Orleans trumpeter 'Punch' Miller and features a host of stars of New Orleans jazz. Another great Clint Eastwood produced movie tracing the singers career. with Lenny Breau trio, the Don Thompson Quintet and the Alf Jones Quartet. documentary about the British post war-war traditional jazz revival scene. Featuring Chris Barber, Acker Bilk, Wally Fawkes and unseen interviews with the late Humphrey Lyttelton and George Melly. Narrated by Roger McGough. Live in Bern with Howard Alden, Jesse Davis, Alvin Queen etc. Mainly performance material with Alice Coltrane commenting. 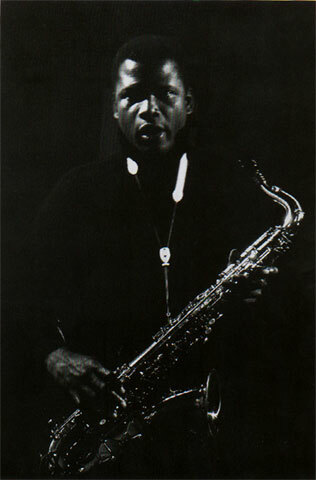 with Wayne Shorter, Jimmy Heath, Tommy Flanagan, Roscoe Mitchell & Alice Coltrane, the footage includes silent colour home movies of Trane's last band at the Newport Jazz Festival, and there is a snippet of Trane's first recording, a 1946 alto sax rendering of "KoKo." with Roger Kellaway (pno), Larry Bunker (drums)and Chuck Berghofer (bass) live at Donte's Jazz Club in L.A.